I love the bright colors in this sampler - they're so much fun to work with!! Have a very happy 4th, Nicole! Happy 4th, Nicole! Love your Mary Roe! Hope you have a great 4th! Love your Mary progress! Sounds like the perfect day!!! Happy 4th! 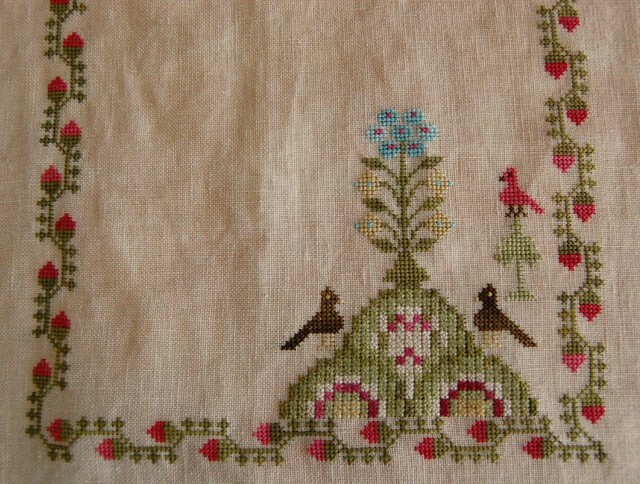 Lovely colors and beautiful stitching. Happy 4th! Your sampler is looking super. I really like the colors, too. Look forward to seeing more of it. So pretty Nicole. Happy 4th to you. Nicole, sounds like you had a great 4th! Mary Roe is very pretty. I agree with you about the colors. Nice progress on Mary Roe.... Very summery feel!!! Hope you had a great 4th. Mary Roe is down right gorgeous. Very Pretty, the colours are just right for this time of year. Hope your 4th was poppin' fun! 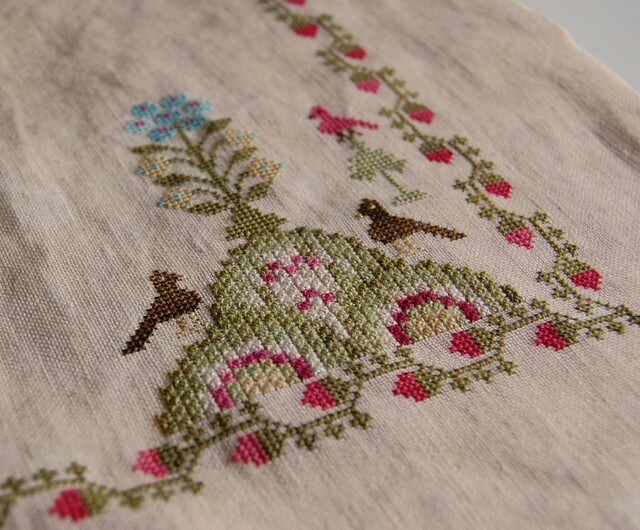 Your stitching is certainly lovely... love the colors, too! This is my favorite TSH chart to date! :) Yours is fabulous!! Lovely stitching, and what a cutie Oreo is! Mary Roe is looking stunning. Sorry to hear that the transfer didn't work out. But you seem very positive about South Carolina which is good. Great progress on your wips!